Should I Drink Shakeology While Pregnant or Nursing? 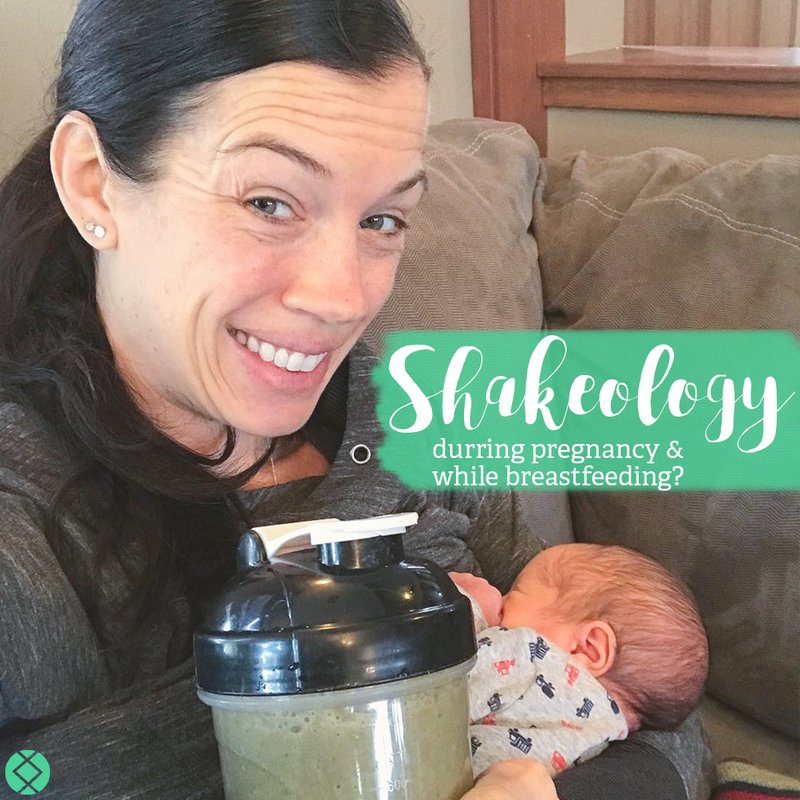 As a momma and Beachbody Coach, one of the questions I get is: “Can I drink Shakeology while I’m pregnant?” or “Is Shakeology OK if you’re breastfeeding?” I had the same questions when I was planning to get pregnant. It’s something that I myself have asked my infertility specialist, my nutritionist, my obstetrician, AND my kids’ pediatrician about during my pregnancy, and now, while nursing! The answer I received was: yes, absolutely, Shakeology is safe to drink while pregnant and breastfeeding! I drank Shakeology throughout my 2nd and 3rd pregnancies (I wasn’t introduced to it until after I had my daughter). I also drank it while breastfeeding both of my boys. And now, I'm pregnant and I have to tell you, I never miss my shake! 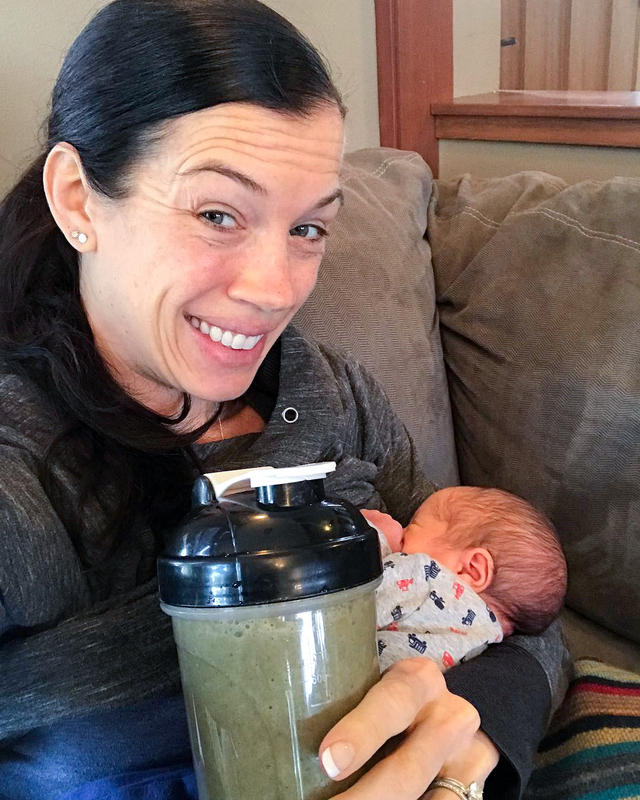 What I love most about drinking Shakeology while pregnant and nursing, is that I knew I taking care of myself with the right nutrition, and that gave my babies the best chance at being healthy and strong! Shakeology provides the highest quality ingredients to ensure not only am I getting what I need on a daily basis to meet my nutrition needs, but it is providing so much benefit to my kiddos, too. And during pregnancy, I don’t know about you, but some things just didn’t sound good! Especially some of the healthy things — salads, veggies, etc. My Shakeology, though, literally tastes like a milkshake, so despite some off/on nausea during my pregnancies, it was also the one thing I could always tolerate! And, then… breastfeeding. How hard is it to find a quick, easy, and healthy meal you can whip up in 2 minutes? Nearly impossible. This has been such a game changer for me as a busy, working mom of 3! Unfortunately “health shakes” get a bad rep because so many other products on the market are full of ingredients that are actually terrible for your health. Ingredients that even I wouldn’t want to consume, let alone give my baby in utero or post-partum! You can learn more about how Shakeology compares to other shakes here. When many people hear about Shakeology they automatically think “weight loss,” and assume it wouldn’t be something you’d want to consume while pregnant. But Shakeology is a complete nutrition shake that is packed full of nutrients. In fact, 70 non-processed, clean, essential nutrients that are often hard to get through your regular diet! Probiotics, prebiotics, antioxidants, and so much more. Best of all, it has no artificial sweeteners, preservatives, soy, or other “crap” you often find in other shakes. As I said above, Shakeology is a complete nutrition shake, it’s intended to be either a meal replacement or snack. Can Shakeology help you lose weight and prevent gaining weight? Yes, but only if that’s the goal and it’s paired but with a nutrition plan intended to help you lose or maintain weight. Obviously, weight loss is NOT the goal while pregnant or nursing! Ultimately, the goal is to help you and your baby get the nutrition you need. When I showed the ingredients to my nutritionist, she told me that it contained ALL of the vitamins/minerals I would need in a prenatal vitamin (excluding the additional need for folic acid). Amazing, right?!! I’ll share below, but Shakeology actually contains all the essential vitamins and minerals (except for two) that you will find in a prenatal vitamin. So, instead of thinking of this as a weight loss shake or meal replacement shake, think of it as the best prenatal vitamin in the world. Seriously. I have heard this as a common concern among my customers,“Is there too much Vitamin A in Shakeology?” This is a valid concern since certain forms of Vitamin A (retinol) in too large a quantity can lead to birth defects and other problems. But just like fats and other vitamins in your diet, there are a “good” and “bad” types of Vitamin A. The Vitamin A found in Shakeology comes from beta-carotene and natural whole food sources — it’s good for you! You don’t have to worry about “overdosing” on Vitamin A when it comes from Shakeology. This was confirmed by my nutritionist, a specialist when it comes to specific forms of vitamins. 4. "I'm worried my milk supply will decrease." Coming from a Mom who has breastfeed her kiddos for 8, 9, and 12 months respectively, I can say from personal experience this did not happen! I have also coached hundreds of breastfeeding moms on their postpartum journey, whose supply was not affected. I have been incredibly fortunate that for all three of my kiddos, I’ve have a good milk supply, and actually, with my youngest, I’ve recently donated probably at least 1000 oz of milk to another mama! I honestly attribute part of that to the fact that I was doing my best to eat well (while still enjoying treats! ), and my Shakeology. There are a number of ingredients in Shakeology that have been shown to help increase milk supply, such as spinach, chia and flax seeds, moringa, brown rice, and quinoa. Should You “Consult Your Physician” While Pregnant Or Nursing? The packaging of Shakeology says something like “please, consult your physician...” which can scare many people away from drinking it while pregnant. But I cannot begin to tell you the number of challengers I’ve worked with that have drank Shakeology through their entire pregnancies and while breastfeeding. Their doctors, too, gave the A-OK, and were often impressed by the ingredients in the shake. So, why is this disclaimer on there? Any product, supplement, or shake must have this disclaimer. While I definitely recommend talking with you doctor, more likely than not, they’ll give you the OK, too! What my doctors/nutritionist said about Shakeology. The first time I started drinking Shakeology was when I was 6-weeks postpartum with my daughter. I am an absolute rule follower, and wanted to be sure that I was providing my daughter with only the best nutrition. My OB told me that she actually drank it, too! I then brought the Shakeology to her pediatrician to ask her thoughts on drinking Shakeology while breastfeeding. She said yes, and commented how impressive the ingredient list was. And prior to getting pregnant with our second child, I brought the Shakeology to my nutritionist and fertility specialist (all three of my kiddos, and now my fourth pregnancy are from in-vitro fertilization and/or frozen embryo transfers). My fertility specialist said I could continue the Shakeology throughout my fertility treatments. And so, I did. And I got pregnant on the first time (for which I’ll forever be grateful), with my second, third, and fourth pregnancies! I have no doubt that having proper nutrition during that time played a huge role. Needless to say, not all doctors will necessarily agree with mine, but for 99.9% of my challengers, their doctor’s gave the green light! As I mentioned above, I brought my Shakeology to my kids’ pediatrician, nutritionist, and infertility specialist. Then, when I got pregnant, I took my Shakeology to my OB as well, just to be safe. During this visit she compared the vitamins, minerals, and nutrients in Shakeology to prenatal vitamins. And guess what? She said Shakeology covered almost ALL the essential aspects as the prenatal vitamins. The only things that Shakeology didn’t have were DHA (fish oil) and Folic Acid. As I tell all of my challengers, pregnant, breastfeeding or not, Shakeology helps to ensure your body is getting what it needs on a daily basis with the essential vitamins and minerals. Through the combination of Shakeology and well-balanced nutrition. You really shouldn’t need any other supplements unless you are deficient in a particular area, this is something you’d want to discuss with your healthcare provider. Shakeology has played a critical role in my pregnancies and while breastfeeding my kiddos! Prior to starting Shakeology, I was so sick throughout the year. That all changed when I was finally getting these essential nutrients in my shake each day. While my appetite was down at certain stages of the pregnancy (1st trimester can be tough!) Shakeology was the only thing sometimes I could stomach. It’s much better to have vitamins and nutrients to soothe the nausea than anything else. It helped me when I had influenza/pneumonia. Yes, as I said above Shakeology helped me stay more healthy than I had been in previous years, but sometimes you just can’t avoid getting sick. Maybe it’s the fact that I work in a hospital?! HA! My last pregnancy (you may have seen my blog) I ended up with influenza A and pneumonia at 34 and 35 weeks pregnant. It. Was. Awful. I had absolutely no appetite on some of the days, but again, Shakeology was the one thing that sounded good. I have no doubt it helped me to recover more quickly, and keep up healthy calories for my baby! It kept my energy up. During my first pregnancy (before being introduced to Shakeology) I remember being tired. But through my subsequent pregnancies I had way more energy despite having young kids at home! It helped me fight cravings. While I definitely think it’s important to listen to your body, especially while pregnant, and enjoy treats now and again, I do know that sometimes pregnancy can cause us to go overboard! My shake helped me beat those craving and then fight off other potential unhealthy cravings throughout the day. It has helped with my milk supply. A key component to a sufficient milk supply is a healthy diet packed with vitamins, minerals, and essential nutrients. Shakeology has done this for me. I have been so lucky to have a great milk supply which has allowed me to pump excess milk to store for when I go back to work at 6 months postpartum. It has helped my babies to grow well, and has helped me to be able to continue breastfeeding — something that has helped create a great bond with my children and I.
I’ve also added whole food products that help increase milk supply, a blog I’ll be sharing in the upcoming weeks. Stay tuned! I kid you not, it tastes like a milkshake, but far healthier than a milkshake from a fast food restaurant. With 9 different flavors of Shakeology, I never get bored. I throw in nutrient dense foods to make it a meal (nut butters, banana, chia seeds, etc), but what is especially impressive is the shake on its own is delicious and packed full of nutrients! And when recovering from my C section, while I was unable to work out (aside from walking daily), it’s helped me heal, recover, and avoid mindless snacking as I work back to a place of strength and confidence! Conclusion: Can You and Should You Drink Shakeology While Pregnant or Breastfeeding? Absolutely! It’s always smart to talk to your doctor about your nutrition, but chances are, they’re going to be impressed with the ingredients, purity of the product, and the benefits that it will provide you and your kiddos. Best prenatal vitamin. Ever! If you’ve never tried Shakeology, but you’d like to use it while you’re nursing or pregnant, let me know, I’d love to help answer any of your questions! You can leave a comment below or contact me directly through my contact form or on my Facebook Page. And if you’re sitting there thinking, “what is Shakeology?” Don’t worry, you can learn all about it here! Hello! Breastfeedin mama here. Is the Whey or Vegan better while breastfeeding? Hey Christina, first of all, CONGRATS! And second, that’s so wonderful to hear! Shakeology has been such an amazing addition to my diet through my entire pregnancy journey (IVF, pregnancy, and breastfeeding! ).